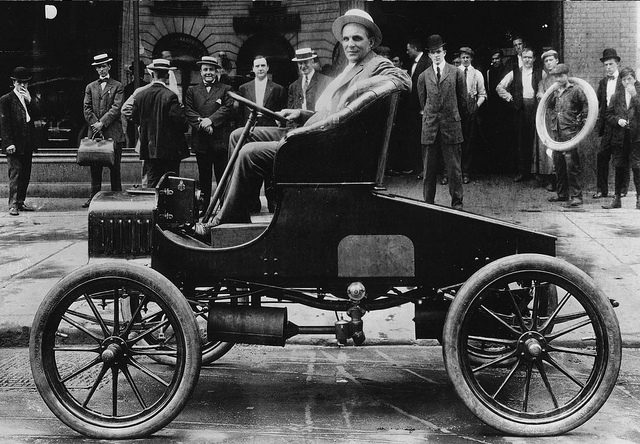 Founder of the Ford Motor Company, Ford transformed the modern world when his company’s Model T made automobiles affordable for the average man. By revolutionizing the production line, Ford was able to forge a system of mass-production which drastically lowered the time and cost needed to fabricate an automobile. Ford owed much of his success to his workers, who he offered high pay, ownership options, and other benefits. Ford’s innovative products and commitment to its workers made the company a staple of American industry. The company would go on to produce such greats as the Ford F-series pickup truck, the truck that built America; and legendary muscle car, the Ford Mustang. Henry Ford was a remarkable visionary.